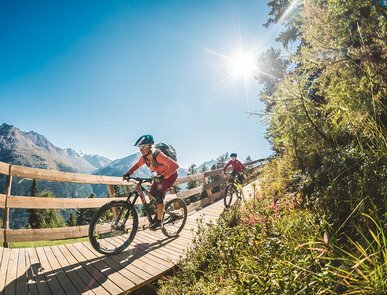 Over the last years, Ötztal has become one of the Alps' most attractive cycling and biking areas - a true paradise for mountain bike fans, road cyclists and downhillers alike. Not only the valley's topography makes it a perfect destination, also the huge efforts of local cycling enthusiasts promise a one-of-a-kind experience. With great commitment they have developed breathtaking bike playgrounds like the Bike Republic in Sölden. 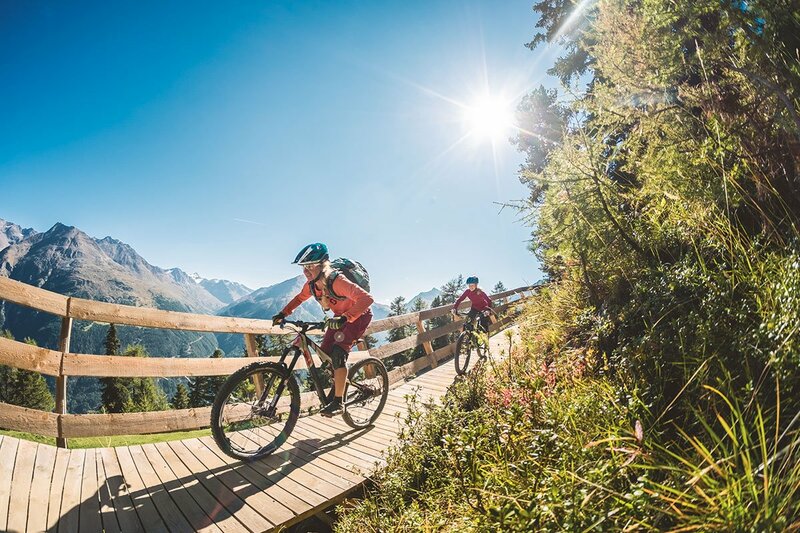 In addition to exciting Single Trails and more than 28 different routes, mountain biking pleasures are guaranteed on over 860 kilometers in the whole Ötztal: winding roads for race cyclists and idyllic paths on the valley floor for nature-loving cyclists. The Ötztal is also a venue for renowned events like the Ötztaler Cycle Marathon and an ideal training base - with the Seerose Bike Hotel only 30 minutes away from Sölden. 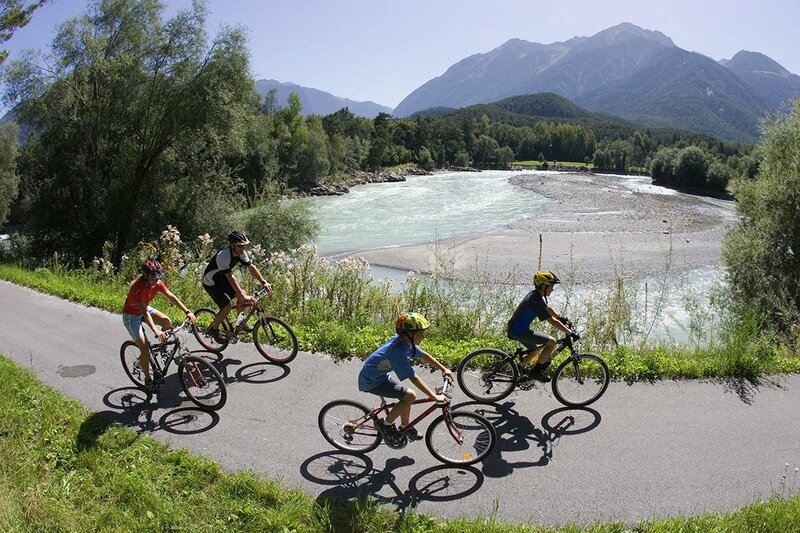 Grab your mountain bike and conquer the Ötztal right from your Bike Hotel Seerose. Or simply hire a cutting-edge bicycle from one of our rental partners. Your hosts Mirjam and Clemens are enthusiastic cyclists, too, and have established Hotel Seerose at lake Piburger See as a hot spot for cyclists, pleasure bikers and nature lovers in Ötztal since 2013. 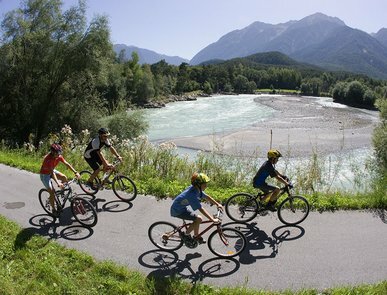 Many extra services are waiting for you and your road or mountain bike during unforgettable bike holidays in Ötztal.